Bug bombs are really good — if you like having cockroaches for flatmates. Image credits Tamorlan / Wikimedia. New research from the North Carolina State University showed that total release foggers (commonly known as “bug bombs”) are ineffective at removing cockroaches from your home. The chemicals they release fail to reach the places that these insects tend to hang out in, such as the undersides of surfaces or inside cabinets. “There’s been a general assumption that bug bombs work to eliminate cockroaches indoors, but no one had conducted a formal assessment of their efficacy and any exposure risks,” said Zachary DeVries, an NC State postdoctoral researcher and the lead author of the study. Besides not removing the majority of cockroaches, these devices also leave behind toxic residues — particularly in the center areas of floors and furniture. Cockroaches tend to avoid these areas, but they see heavy use by humans and pets. The team tested four different commercially-available bug bombs that use various insecticide compounds in five apartment complexes. These complexes were chosen for their level of bug activity — all five had moderate to severe German cockroach (Blattella germanica) infestations. All the bombs used in the study contained pyrethroids, the team explains, a class of fast-acting insecticides. Some also contained other active substances, such as piperonyl butoxide, which prevents cockroaches’ bodies from metabolizing the insecticides. First, they estimated cockroach populations in 20 homes in these five complexes. Then, following the instructions on their labels to the letter, the team set up and set off the bombs. Cockroach populations were re-examined two weeks and one month after the bombs were used. Overall, these devices had no meaningful impact on the insects, the team finding no evidence of decline from their initial estimates. The team also applied either commercially-available gel bait or a professional-grade gel bait in 10 additional homes. Gel bait is generally applied via a syringe to the areas where cockroaches hide. 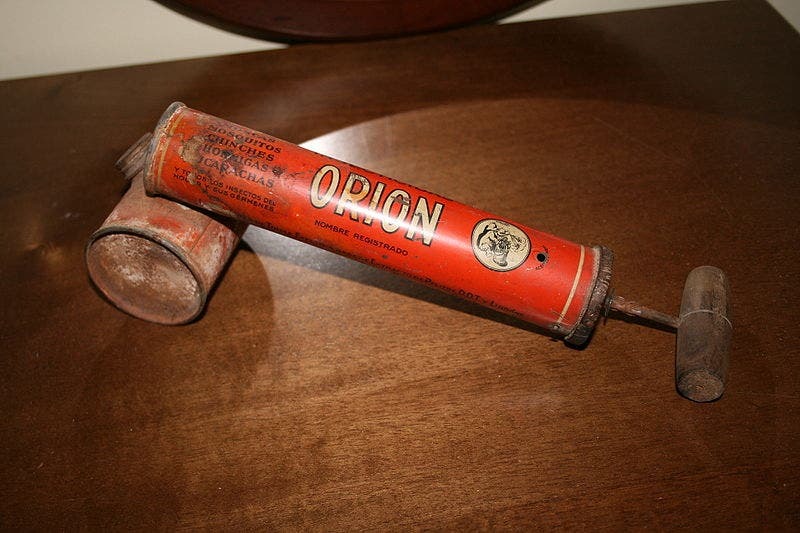 This bait was much more effective than the bug bombs both at the two- and four-week marks, the team notes, virtually eliminating cockroach populations in all of the 10 homes. To help them better gauge the effectiveness of the bug bombs, the team placed roaches (some raised in the lab and others captured into the homes themselves) in cages on the floor and in upper cabinets of the homes involved in the study. The cages were greased so that the insects couldn’t escape. These cages were installed during the bug bomb testing phase of the study. Overall, then, the bug bombs had shown themselves ineffective in their intended role. With this in mind, the team set out to quantify their collateral effect — the risk of exposing people and pets to insecticides in their homes. The team swabbed floors, kitchen surfaces, walls, and cabinets in the homes prior to bug-bombing them. This preliminary analysis showed insecticide residue was already present in the homes used in the study, giving the team baseline concentrations to work with. These baseline levels can be explained by residents facing cockroach infestations — as was the case with the families involved in the study — using insecticides in an attempt to remove the pests. These residues were found in samples collected from the middle of floors and kitchen surfaces, DeVries explains, so the finding is “most disconcerting”. The same areas were swabbed four to six hours after the bombs were deployed. The team reports that insecticide residue levels increased 600-fold on average across all horizontal surfaces. Swabbings performed one month after the study showed insecticide residue levels were still 34% higher than the baseline. “This is of particular concern in low-income communities, where bug bombs are frequently used because professional pest control may be too expensive,” adds Coby Schal, Blanton J. Whitmire Distinguished Professor of Entomology at NC State and senior author of the paper. Insecticides aren’t particularly healthy for you — by ‘particularly’ I mean ‘at all’. Pyrethroids, the same compounds used in this study, are preferred for household use due to their fast biodegradation/breakdown and relative low mammalian toxicity (except for cats) compared to other insecticides. However, there is evidence that even pyrethroids have an adverse effect on the development of rats, causing behavioral changes that resemble Attention Deficit/Hyperactivity Disorders (ADHD) in humans. There have also been reported cases of anaphylactic shock after exposure to pyrethrum, although no link between pyrethroids and allergic reactions has so far been established in the scientific literature. 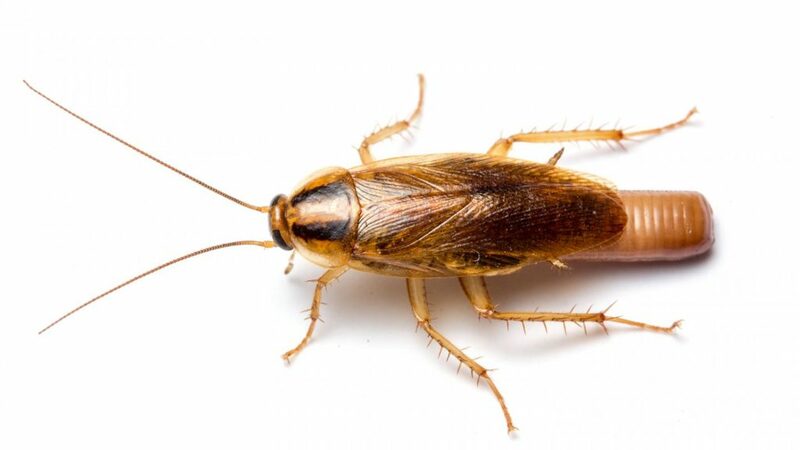 The paper “Exposure risks and ineffectiveness of total release foggers (TRFs) used for cockroach control in residential settings” has been published in the journal BMC Public Health.